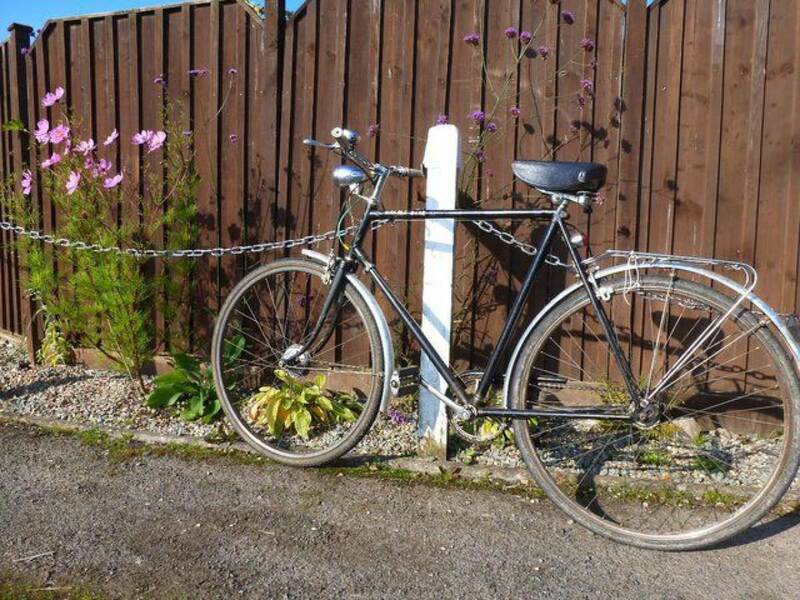 Bought in Banbury "Trinders" Original in all respects except tyres !! Hub Dynamo, S/A 3 speed, sports model cable brakes, original Trinder Bell. Black /chrome. All mechanical parts work, ride home.